There is one issue facing our nation, and indeed our world, that must be addressed. Climate change. As we have seen in recent weeks, nature has unleashed massive destruction and flooding on the mainland US and the Caribbean. Climate change may not be totally responsible for these and other weather incidents, but it certainly plays a vital part in their intensity amid the new climate normal. For sure, the Earth goes through cycles of warm and cool trends, and has for millions of years. During those millennia, the amount of carbon dioxide in our atmosphere has been the best indicator of a warming world. For the last 700,000 years, the atmospheric carbon dioxide was never more than 300 parts/million. In 1950, Earth crossed that line and never looked back. The vast amount of data accumulated by NASA and many other climatologists reveals the most likely perpetrator of this trend to be…us. Our industries have released more carbon than any natural cycle could ever do. And thus, climate change and all its consequences. Mankind has always been good at manipulating the world around him for his benefit and we will continue to do so. And for the most part, we have a talent for recognizing a problem and doing something about it. The lack of concern by Republicans raises some doubts about their consistency concerning citizens. As the years pass, the Right’s failure to acknowledge and act upon man-caused climate could very well be the inheritance and burden our generation inflicts upon our descendants. When we had a chance to do something, very little was done. But that scenario is depressing and so let’s do all we can to change that outcome. 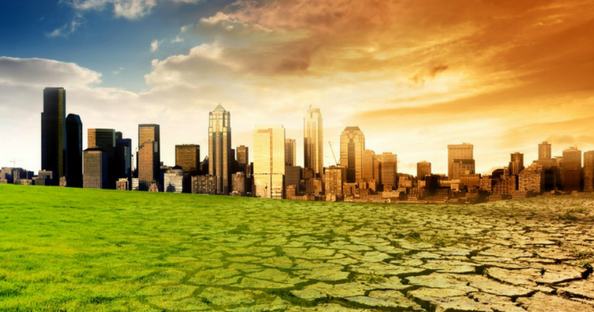 First, educate yourself on the causes and remedies of climate change. Knowledge is power when making decisions and engaging in discussion. Check out https://climate.nasa.gov/evidence/ for an easily understood presentation. www.climate.gov also has valuable information. Solar power, wind power, recycling, and many other paths to counter climate change are within our grasp. We just need to have the willpower and initiative. We trust that you do. Join all Democrats in making the world a better place to live now. The generations yet to come will be thankful for our stewardship as opposed to frustrated with our acceptance of stubborn inaction. Paid for by the Fulton County Democratic Party. Not authorized by any candidate or candidate's committee.